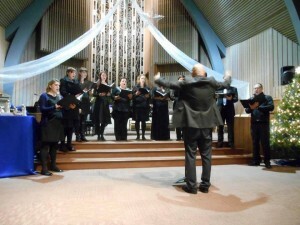 Join Bay Area Classical Harmonies for a Christmas concert and celebrate the sounds of the season! This December, BACH will be presenting a collection of new and old Christmas music. Some of the Bay Area’s finest singers and instrumentalists will join together to perform classic seasonal pieces by Buxtehude and Byrd, as well as a collection of sing-along Christmas carols from the English tradition. Featured on the program is the world premiere of “O Antiphons” by local composer Alexander Frank. Enjoy the Christmas tradition with BACH’s premiere choral ensemble, conducted by Andrew J. Chung, and start the holidays singing!